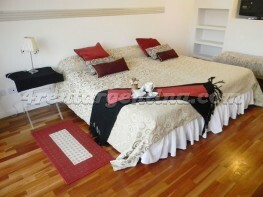 1 guest 2 guests 3 guests / 3 max. 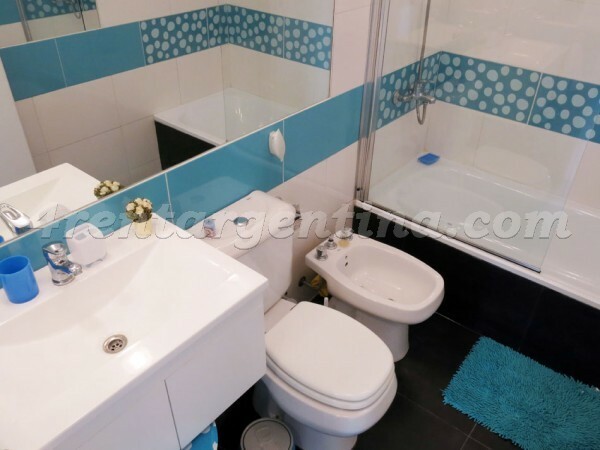 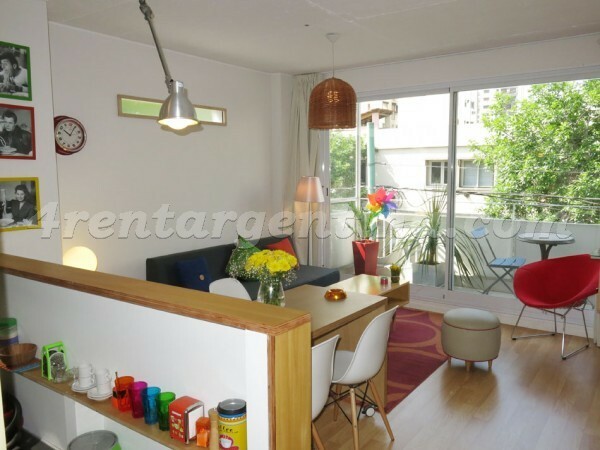 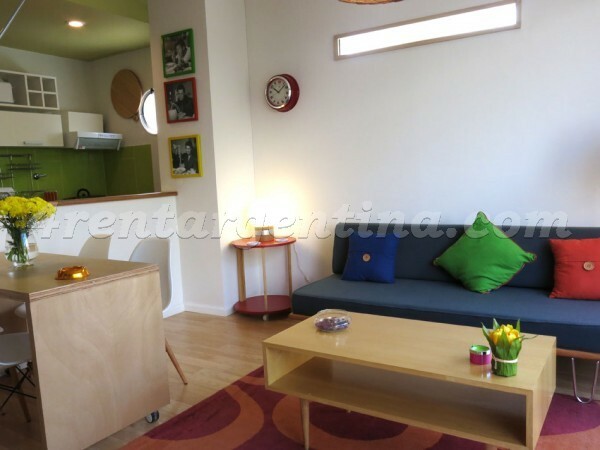 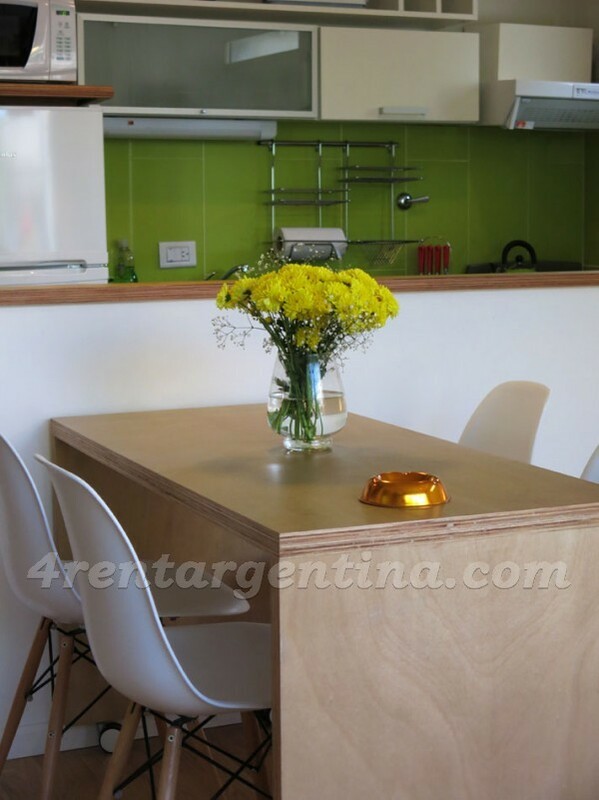 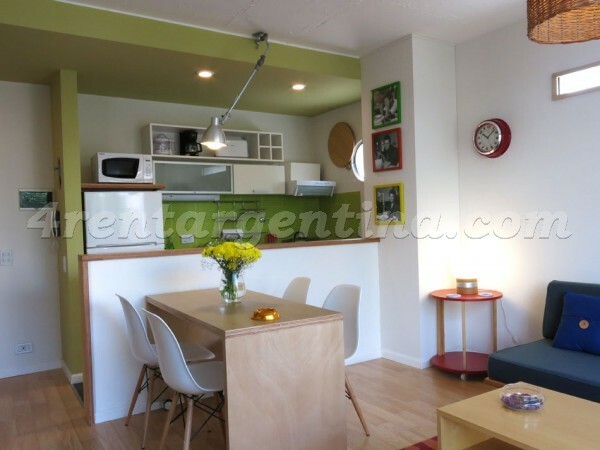 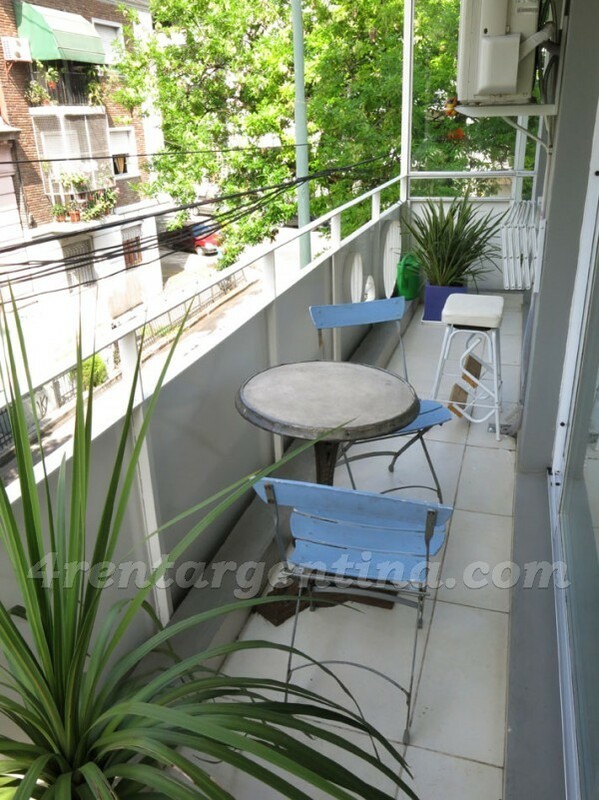 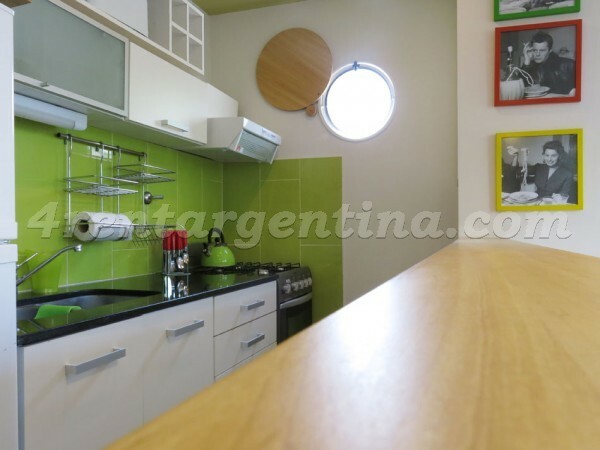 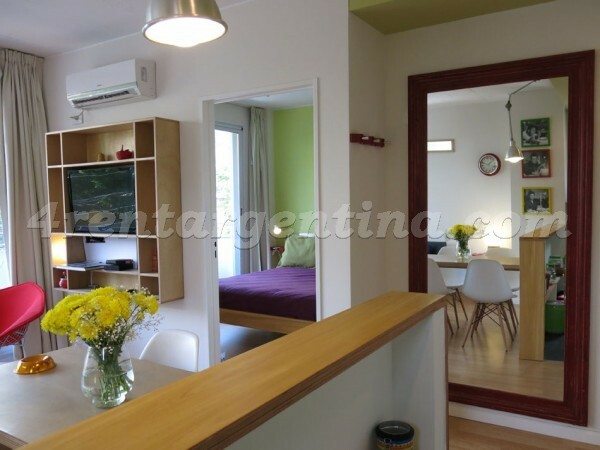 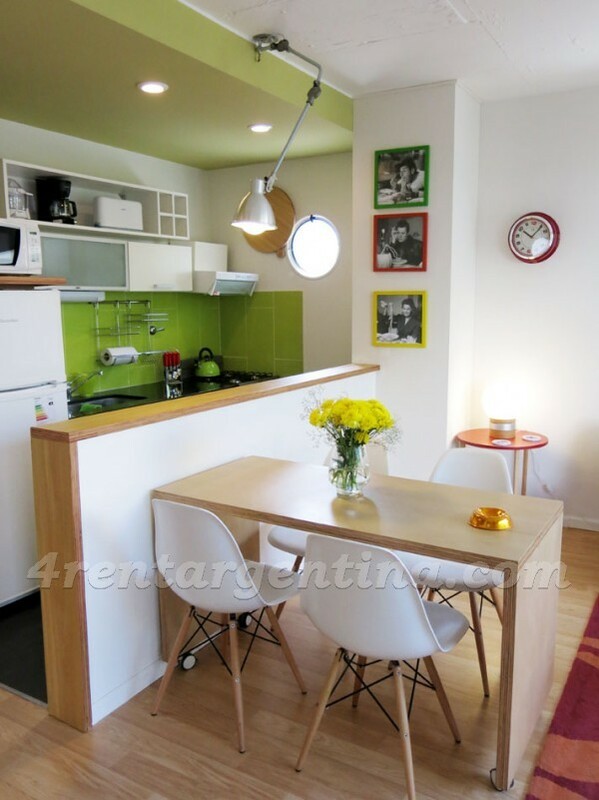 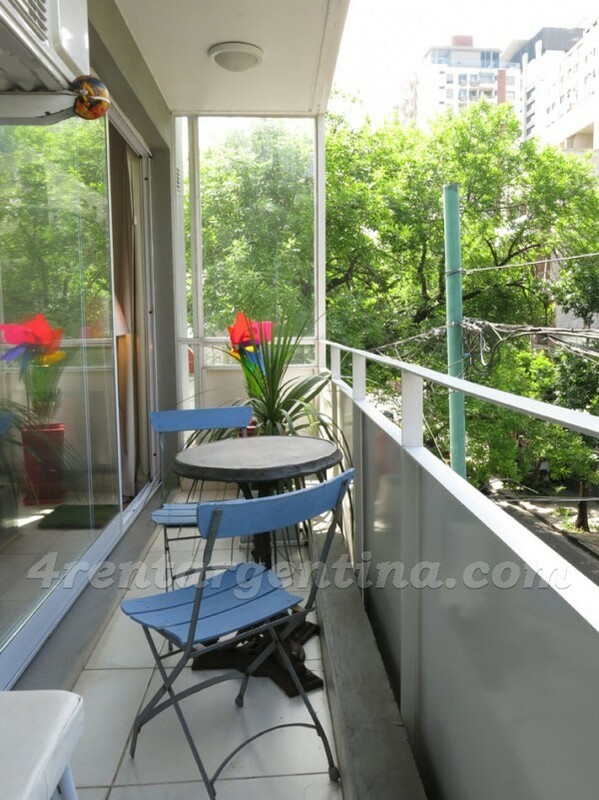 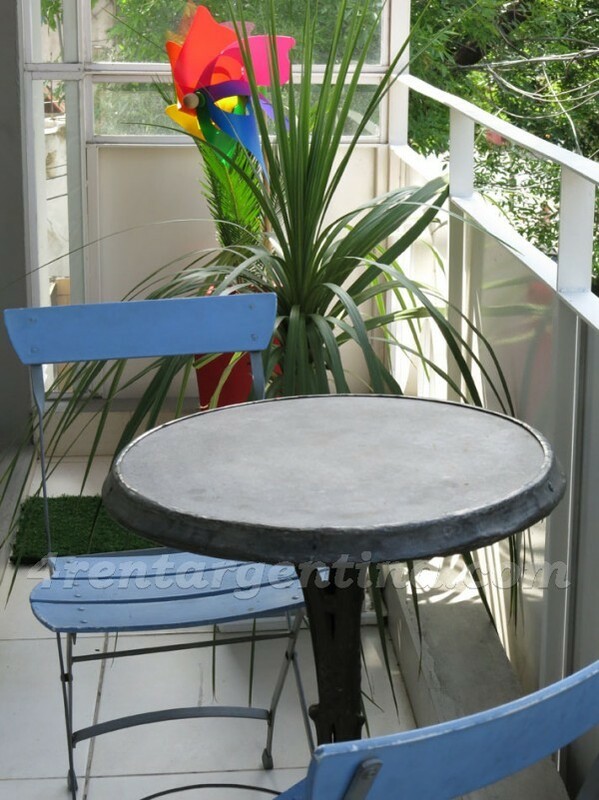 Excellent furnished apartment for temporary rent in Buenos Aires, located in Palermo, only one block away from Córdoba Avenue, in an area surrounded by several means of transportation and shops. 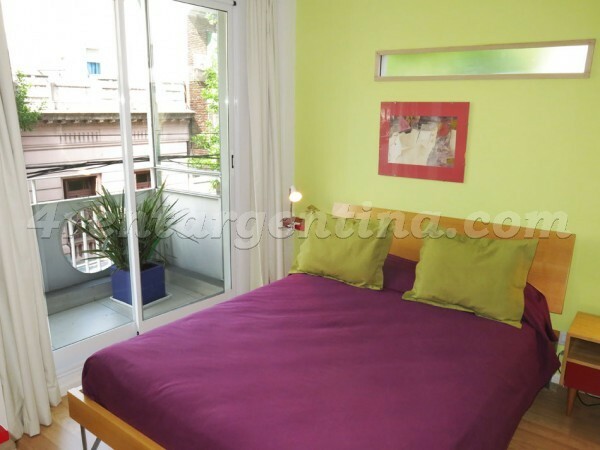 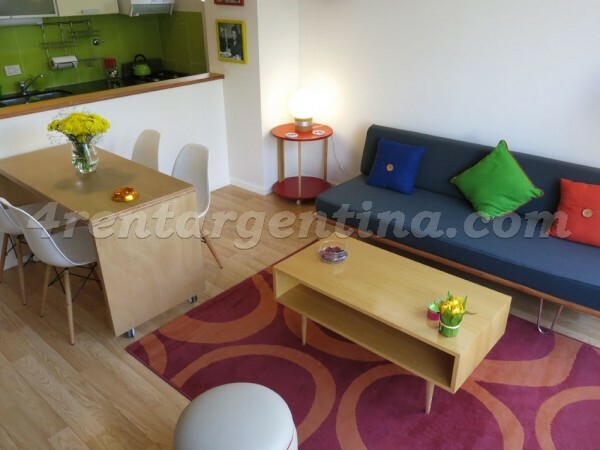 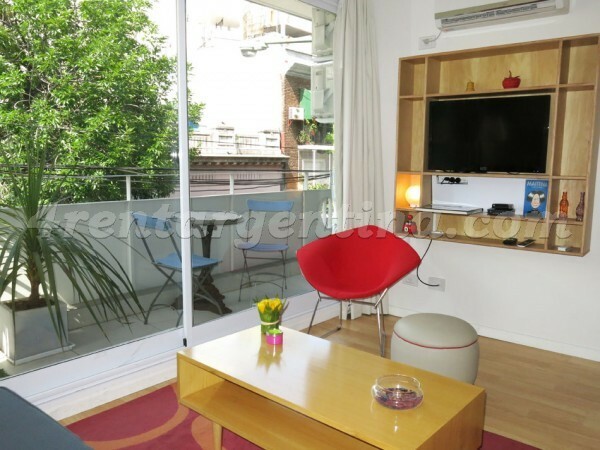 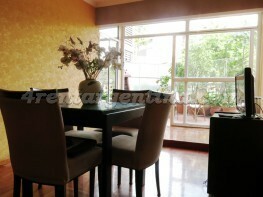 This beautiful flat is ideal for three people, features a nice decoration and has everything you may need for a perfect stay in Buenos Aires: a bedroom with a double bed, a living-dining room with a single sofa bed, a fully-equipped integrated kitchen with breakfast bar, a full bathroom with tub and a nice balcony. 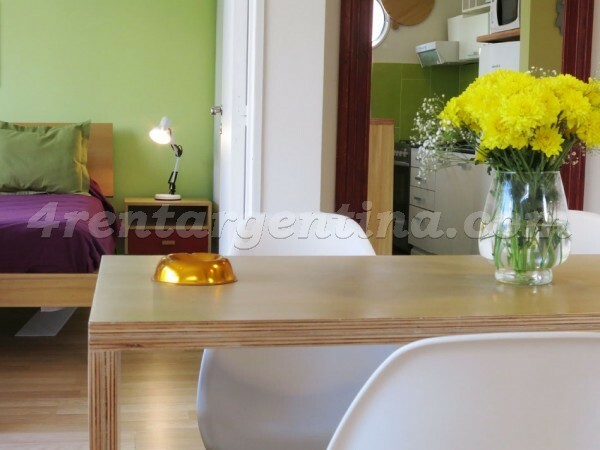 Debo resaltar la atención y ambilidad de los propietarios. 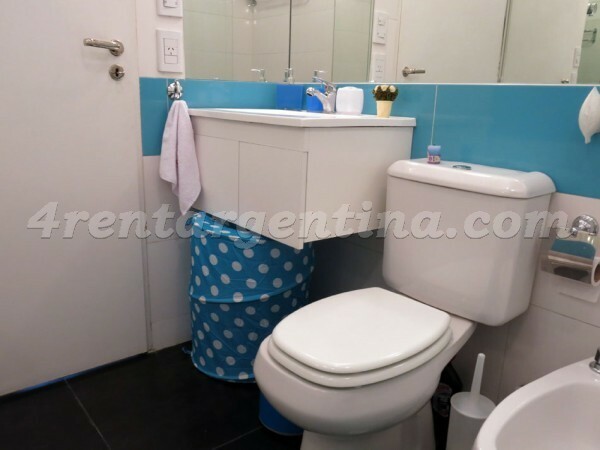 Es un departamento confortable, funcional, pensado para alojar huespedes temporarios, o sea, se ajusta la propuesta a la demanda. 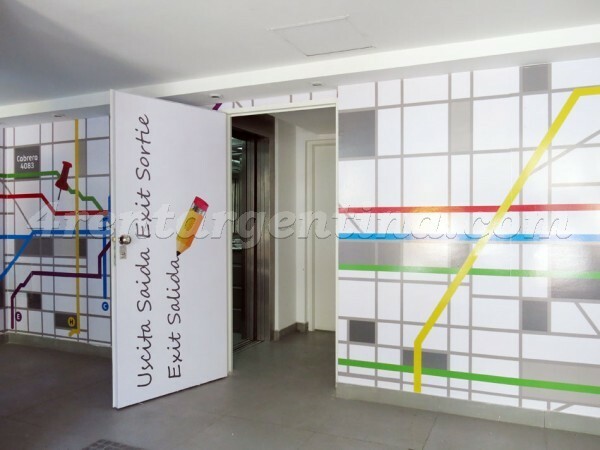 Alta satisfacción. 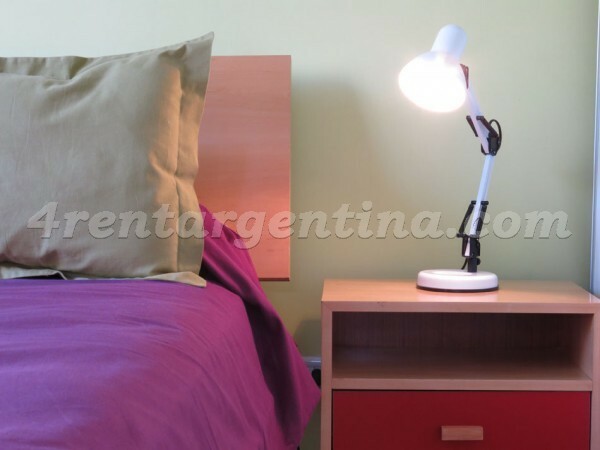 destaco la agilidad y buena predisposición a cambiarnos de departamento ante la falta de servicio de wi fi. 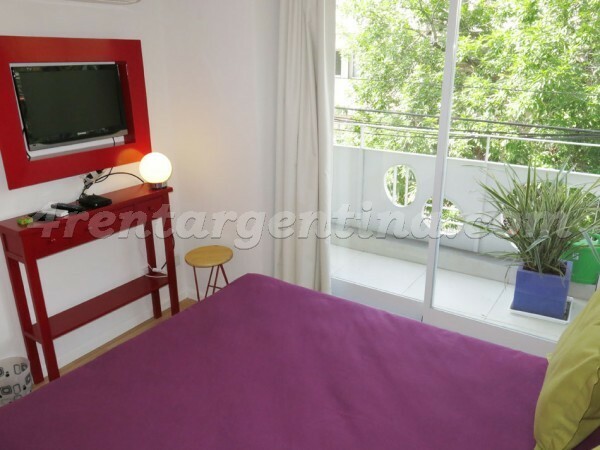 Excelente atención!